From 3rd June-20th July a couple of local Hulleys-operated routes are disrupted. With main drainage work at Brough adjacent to the junction of the A6187 and B6049, the latter road will be closed to all traffic during these dates. Thus the bifurcation of route 272 (Sheffield-Castleton), joint by Hulleys and First will be withdrawn, buses running direct along the A6187. 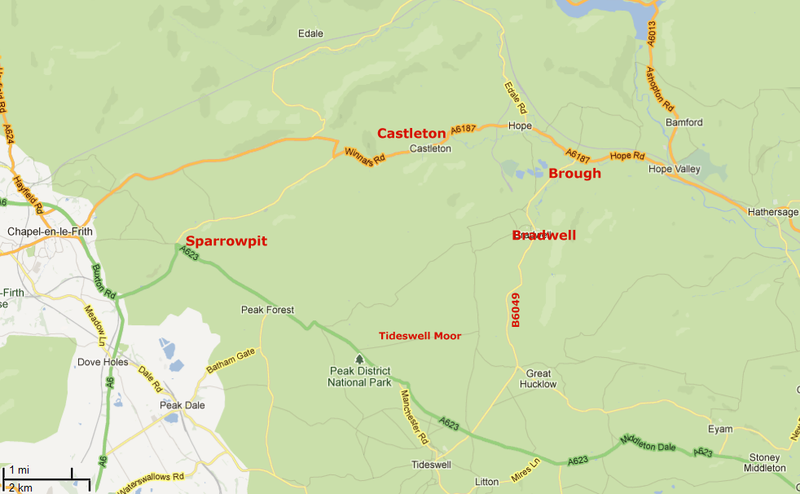 However, the Hulleys route 173 (Bakewell-Castleton) will be curtailed in the village of Bradwell, about a mile or so to the south of Brough and the road junction. Passengers travelling between Bradwell and Castleton, will apparently be transferred to a temporary shuttle service operated by Hulleys. This will run back from Bradwell via the B6049 to Tideswell Moor (locally pronounced "Tidza"), then the A623 to Sparrowpit. From here unclassified road (non-bus route) to the top of Winnats Pass. Then down the very steep descent into Castleton from the west instead of the east. A quite nice run over the Peak should one be inclined with the addition of low gear work up and down Winnats. This should necessitate the use of a small bus, probably one of their Solos. The diversionary route, if run all the way from Bradwell to Castleton is over 12-miles. The normal road/bus route distance is around 2-3 miles. 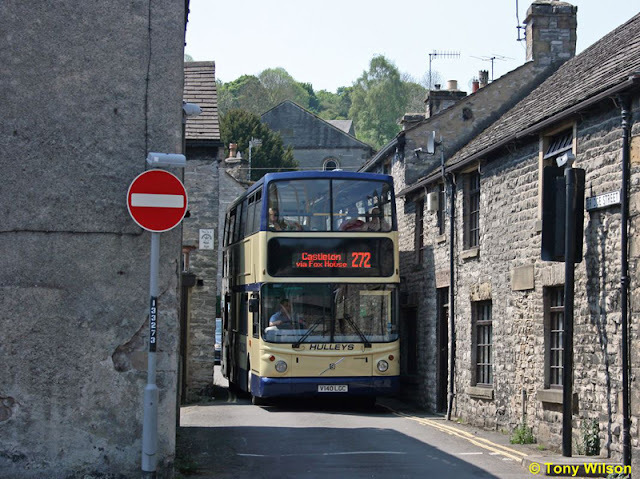 I wonder however, if the ordinary 173s will terminate at Tideswell Moor, the shuttle bus meeting and transferring passengers at that location. Maybe, maybe not. There are four Daily journeys in each direction on the 173. Three other Hulleys routes 68,174,276 are also affected, but these are infrequent schools or shoppers services. 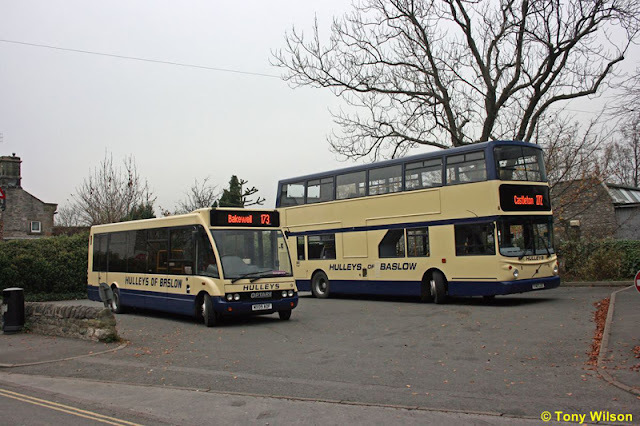 Two images show one of the company Solos on the 173 and a former London General Volvo B7TL on the 272 at Castleton. The other shows the Volvo squeezing through the narrow streets of Bradwell.